class="obituaries-template-default single single-obituaries postid-1893720 wpb-js-composer js-comp-ver-5.7 vc_responsive"
Fred Chris Kujath was born November 10, 1944 to Fred Ernest and Delta (Moran) Kujath at the Fairbury Clinic and passed away in a vehicle accident going after hay for his cattle at the age of 74 years 4 months 7 days on March 17, 2019. He received his first 8 years of education at country school District 55 near his parents home and also less than ¼ of a mile away from the 1st place he purchased and made his home for the rest of his life. 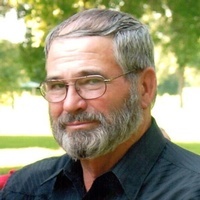 He graduated from Fairbury High School in 1962 and received an Associates in Applied Science in General Agriculture on May 27, 1964 from Fairbury Junior College. On June 3, 1967, he graduated with a bachelors of Science in Agriculture from UNL. He served in the National Guard Second Battalion Company 134th Infantry in Fairbury. While farming with his parents, he worked at the Natural Resources Conservation Services, helping survey for terraces and watershed dams. On August 17, 1974, he was united in marriage to Elizabeth Ann Timmerman of Hebron, NE at the Christian Church in Hebron. To this union, there was one son Frederick Bernard and three daughters, Ann Emillie, Moranda Rose, and Christie Elizabeth. Fred loved to dance. He learned to dance at the age of 10 from his mother Delta. While dating Elizabeth, Fred taught her to dance polkas and waltzes; he loved Czech music. Dancing was his entertainment and passion, second only to farming and ranching. He enjoyed dancing so much that he taught all his children and grandchildren. Fred enjoyed playing board games and cards with his children, his children’s spouses and grandchildren especially 10 point pitch and sequence. When the grandchildren were young, uno was the game of choice. He worked hard and enjoyed farming. If there was an erosion problem on any piece of land, he would have terraces built or whatever was needed to prevent erosion. He also put several highly erodible pieces of land to CRP and they are still planted to grass. Fred and his son also divided several larger pastures into paddocks for rotational grazing over the years to control weeds and provide better quality feed for the cattle. In the 1980’s Fred received the Nebraska Pioneer Farm Award on land he owns. Fred and Elizabeth did not go on lengthy vacations until the children were old enough to take care of the farm in their absences. In 1999 they went to the northwestern states of the US for eighteen days. During February of 2012 they were able to travel to Paris and Belgium. In 2015, they went on an Alaskan Cruise. They also had the opportunity to visit many other states over the last 20 years to visit family and friends. Fred is survived by his wife Elizabeth, of 44 years and 7 months; 1 son: Frederick B. Kujath and wife Jennifer of Fairbury, NE; and 3 daughters: Ann Waller and husband Jason of Bellevue, NE; Moranda Krakow and husband Lucas of Dixon, CA; and Christie Rice and husband Travis of Beatrice, NE and six grandchildren; Frederick D and Erin E Kujath of Fairbury, NE; Jonathan E and David E Waller of Bellevue, NE; and Elizabeth S and Morgan K Rice of Beatrice, NE. He is preceded in death by his parents Fred E and Delta F Kujath; aunts and uncles Dorothy Kujath Moran and George Moran, Dora Kujath Stegemann and Claude Stegemann. Services will be held at 10:30 a.m., Monday March 25th at the Presbyterian Church in Fairbury, NE, with Clarence Black officiating. Burial will be in Fairbury Cemetery. Friends and family may call at the Gerdes-Meyer Funeral Home, Fairbury Saturday and Sunday from 9 a.m. to 7 p.m., and the family will receive friends Sunday March 24th from 4 to 6 p.m., at the funeral home. Burial will be in the Fairbury Cemetery. Memorials will be put toward a FFA Scholarship Fund and/or organization of the family’s choice.